Holistic nutrition is the practice of integrating body, mind, and spirit through the field of nutrition. Creating a holistic diet plan – the foundation of holistic nutrition – involves balancing various foods in a way that best serves the individual’s nutrition needs. Age, gender, activity level, lifestyle, and weight all affect the requirements of a holistic diet plan. 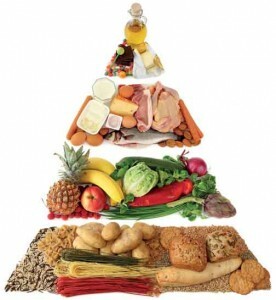 The diet plan should also take into consideration the various food types and local produce, and flavours. Organic foods and local foods are often chosen because they have not been genetically altered or sprayed with pesticides. This helps to keep unhealthy chemicals and hormones, which can cause an imbalance, out of the body. A variety of whole grains, colourful vegetables, lean protein sources and dairy products should be eaten every day when following a holistic diet plan. A holistic diet should include whole grains such as brown rice, quinoa, wheat and millet, and vegetables based on a rainbow of colours, giving importance to dark green, orange, yellow, and red. New flavour combinations can be explored when cooking meals to highlight fresh produce, whole grains, and lean proteins. Beans, nuts, and seeds should account for part of the overall protein while red meat should be kept to a minimum. When it comes to a healthy diet, balance is the key to getting it right. This means, eating a wide variety of foods in the right proportions and consuming the right amount of food and drink to achieve and maintain a healthy body weight. A diet based on starchy foods such as rice and pasta, with plenty of fruit and vegetables, some protein-rich foods such as meat, fish and lentils, some milk and dairy foods, and not too much fat, salt or sugar, will give you all the nutrients you need. Most adults are either overweight or obese. That means many of us are eating more than we need. And it’s not just food; some drinks can also be high in calories. In order to lose weight, we need to eat and drink fewer calories, even if we are following a balanced diet. There is a tendency to eat and drink too many calories, consume too much fat, sugar, and salt and not enough fruit, vegetables, and fibre. While it is important to have some fat in the diet, foods that are high in fat and/or sugar have no place in a healthy diet. Food can be divided into five groups. Try to choose a variety of different foods from the first four groups. These are a vital source of vitamins and minerals. It’s advised that we eat five portions of a variety of fruit and vegetable a day. People who eat at least five portions of this group a day are at lower risk of heart disease, stroke, and some types of cancer. Just one apple, banana, pear or similar-sized fruit counts as one portion. With pineapple or melon, a single slice is considered one portion – taking into account the sugar content and nutrition value. Three heaped tablespoons of vegetables is another portion. Having a sliced banana with your morning cereal is a quick way to get one portion. Add a side salad to your lunch, a portion of vegetables to dinner, and snack on dried fruit in the evening to reach your five a day. Foods such as bread, cereals, potatoes, pasta, maize, and cornbread are an important part of a healthy diet as they provide a range of nutrients. Starchy foods are a good source of energy and act as a fuel for the body. Ideally, starchy foods should make up around one-third of everything we eat. This means we should base our meals on these foods. Try and choose wholegrain or whole wheat varieties, such as brown rice, whole wheat pasta and brown whole meal bread. They contain more fibre (often referred to as ‘roughage’), and usually more vitamins and minerals than the white (refined) varieties. Fibre is also found in beans, lentils, and peas. These foods are all good sources of protein which is essential for growth and repair of the body. They are also good sources of a range of vitamins and minerals. Meat is a good source of protein. It also contains vitamins, and minerals such as iron, zinc, and vitamin B12. Try to eat lean cuts of meat and skinless poultry whenever possible to cut down on fat. Always cook meat thoroughly. Fish is another important source of protein, and contains many vitamins and minerals. Oily fish such as tuna, mackerel and sardines, are particularly rich in omega-3 fatty acids that play a crucial role in brain function, as well as normal growth and development. Linseeds (flax) and their oils are also sources of these essential fatty acids. While these are essential for a healthy body, they cannot be produced by the human body and need to be obtained from external sources. Aim for at least two portions of fish a week, including one portion of oily fish. Eggs and pulses (including beans, nuts, and seeds) are also great sources of protein. Nuts, such as cashewnuts, hazelnuts, etc., are high in fibre and are a good alternative to snacks high in saturated fat. However, they do still contain high levels of fat, so they should be eaten in moderation. Other seeds and nuts, such as sunflower seeds, pumpkin seeds, and walnuts, also contain important ‘good mood’ nutrients. Milk and dairy foods such as cheese and yoghurt are good sources of protein. They also contain calcium, which keeps the bones healthy. To enjoy the health benefits of dairy without eating too much fat, use semi-skimmed milk, skimmed milk or 1% fat milk, low-fat hard cheeses or cottage cheese, and low-fat yoghurt. Most people eat too much fat and too much sugar. Fats and sugar are both sources of energy for the body, but when we eat too much of them we consume more energy than we burn, and this leads to weight gain. Obesity increases our risk of type 2 diabetes, certain cancers, heart disease and stroke. There are different types of fat, namely: Saturated fat – found in foods such as cheese, sausages, butter, cakes, biscuits and pies – can raise the level of blood cholesterol and increase the risk of heart disease and stroke. Saturated fat – found in foods such as cheese, sausages, butter, cakes, biscuits and pies – can raise the level of blood cholesterol and increase the risk of heart disease. Unsaturated fats, on the other hand, can help lower cholesterol and also provide the essential fatty acids needed to help us stay healthy. Oily fish, nuts and seeds, avocados, olive oils, and vegetable oils are sources of unsaturated fat. Try to cut down on foods that are high in saturated fat and have small amounts of foods that are rich in unsaturated fat instead. For instance, use just a small amount of vegetable oil or reduced fat spread instead of butter, lard, or ghee. When having meat, choose lean cuts over red meat and cut off any visible fat. Sugar occurs naturally in foods such as fruit and milk, but we don’t need to cut down on these types of sugar. Unlike natural sugar, a refined variety is added to lots of foods and drinks such as sugary fizzy drinks, cakes, biscuits, chocolate, pastries, ice cream, and jam. Sugar is also present in some readymade savory foods such as pasta sauces and baked beans. Most of us need to cut down on foods with added sugar. The most vital substance for a healthy mind and body is water. It’s easy to overlook drinking the recommended six to eight glasses per day, which is a low-cost, convenient, self-help measure that can quickly change how we feel, mentally as well as physically. Having a minimum of five portions daily of fresh fruit and vegetables (organically grown, if possible) provides the nutrients needed to nourish the mind and body (one portion equals about a handful). It’s also important to eat some sources of protein, such as meat, fish, beans, eggs, cheese, nuts or seeds, every day. It’s best not to skip breakfast, to keep regular meal times, and to choose high-fibre foods that release energy slowly, such as oats and unrefined whole grains. As well as providing nutrients, these eating strategies help smooth the negative effects of fluctuating blood sugar levels, which include irritability, poor concentration, fatigue and depression, and food cravings. Changing what you eat takes effort and time and is probably easier to do when done one step at a time. Trying out new and different foods may mean you need to shop in new places. Hopefully, you will enjoy making these changes and find the experience and effects positive. Smaller changes, introduced one at a time, are easier to manage and maintain should you find them beneficial. Some changes may even be unnecessary, although you won’t know until you try. Sometimes, a change in diet produces some unpleasant side effects initially. If people suddenly stop drinking coffee, for instance, they may get withdrawal symptoms, such as headaches, which then begin to clear up after a few days. There are, necessarily, some costs associated with making changes to what you eat, but these are often rewarded by significant benefits to mental and physical health. After all, holistic nutrition is based on the belief that we can physically and emotionally benefit from a properly balanced diet and build the foundation for a healthy future. The author is a dietitian at KMC Hospitals, Mangalore. She can be reached at arunamallya@gmail.com.